It was my first day on the west side. With the aid of a U-Haul and a shopping cart, I had lugged all my belongings from The Spot on 30th Street, with its sheen and its swanky name, to West 36th Street. I was sitting on my porch, watching the smog set, when I heard a cheerful greeting. It was my neighbor to the right, an affable man in his mid-seventies with deep-set laugh lines and a booming voice that belied his old age. This was my first taste of the community west of Vermont Avenue — an idiosyncratic group composed of USC students, recent graduates and local residents who have lived in this neighborhood for decades. 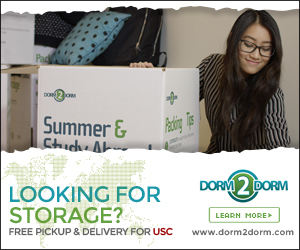 Students who live north of campus are generally apprehensive of the area, which has a reputation for being the dodgy section of USC’s perimeter. This notoriety has been heavily enforced by the noticeable lack of USC security on this side. That will be changing this year. 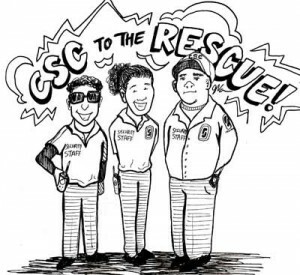 President C. L. Max Nikias told the Daily Trojan last week that USC will be bringing CSC guards and security cameras to the west side of campus for the first time, in an estimated $3 million-a-year push that will be in place by fall. The university’s decision to address security on the west side is commendable; USC is finally providing a necessary service to both its students and the community west of Vermont. More importantly, this decision marks an important shift in university attitude toward expansion. Instead of simply trying to lure USC students away from the west side with new housing developments such as the University Gateway housing flagship, USC is acknowledging that the west side has certain draws that North University Park doesn’t, such as more affordable housing, proximity to campus and a close-knit community between students and local residents, to name a few. When I interviewed Dept. of Public Safety Capt. David Carlisle last semester about why USC hadn’t posted CSC guards on the west side, he was quick to point out that the majority of students live to the north of campus. 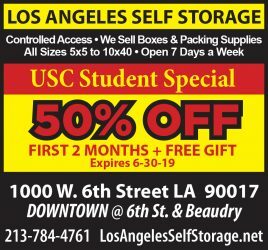 USC doesn’t officially own any complexes on the west side, but there is a small, burgeoning pocket of students who live there. The west side is a vibrant part of the university experience and has a dynamic that can’t be found north of campus. The university should acknowledge that fact, rather than try to tempt a diaspora to the north with tufts of luxury housing. I recently took to the street with another Daily Trojan reporter to gauge reactions from west side residents about the proposed security additions, which were overwhelmingly positive. The sound of loud music brought us to a garage, where we met Rick Jones, a resident on Budlong Avenue for 10 years who displayed an amiable nature I’d already experienced with other residents. After inviting us to a dominoes tournament and a meeting of a west side cricket club, he told us he was in favor of USC’s move for more security. Then he pointed down the street at a distant stucco house. Loretta Session, a one-year resident of 36th Street, echoed his sentiments, and said that the integration of students into the community was beneficial. It’s not surprising that both students and local residents alike would be excited about the addition of security cameras and guards on the west side. Even though the university might be wary of exerting its presence west of campus, there are few who would object to a couple more pairs of watchful eyes. But most importantly, these changes will bring to the area what they brought to North University Park a year and a half ago: the image of safety. The west side endures as bad a rap among USC students as USC’s campus does among out-of-staters. In fact, most of the people I talked to felt that the community was one of the safer ones in the area because of its proximity to the university. With the placement of yellow jackets, we can only hope that more students are encouraged to room on the west side, or perhaps just visit. USC has long congratulated itself on its commitment to the surrounding community, and it deserves whatever accolades are thrown at it. 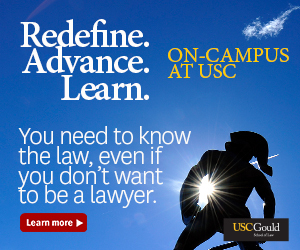 But with the added security improvements, the university is finally acknowledging an important facet of the USC family. What could be more Trojan than that?